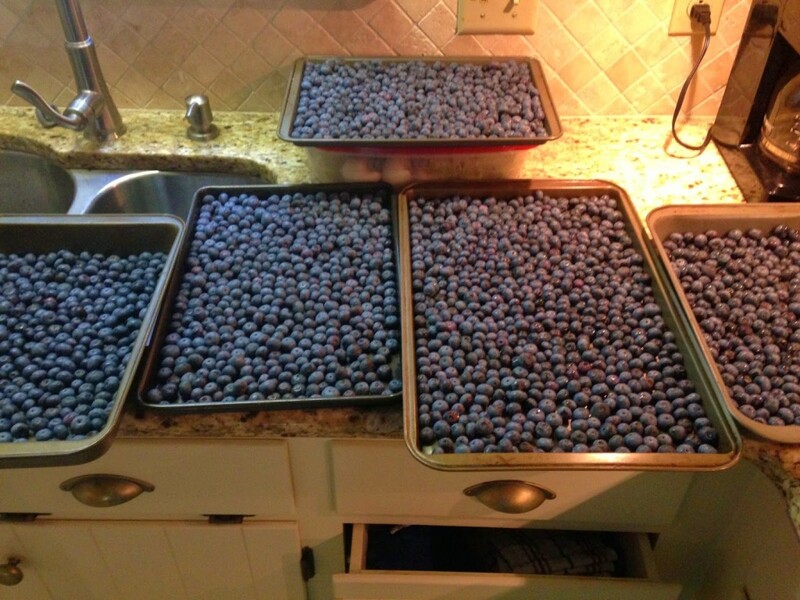 In our part of the country, it’s blueberry season! 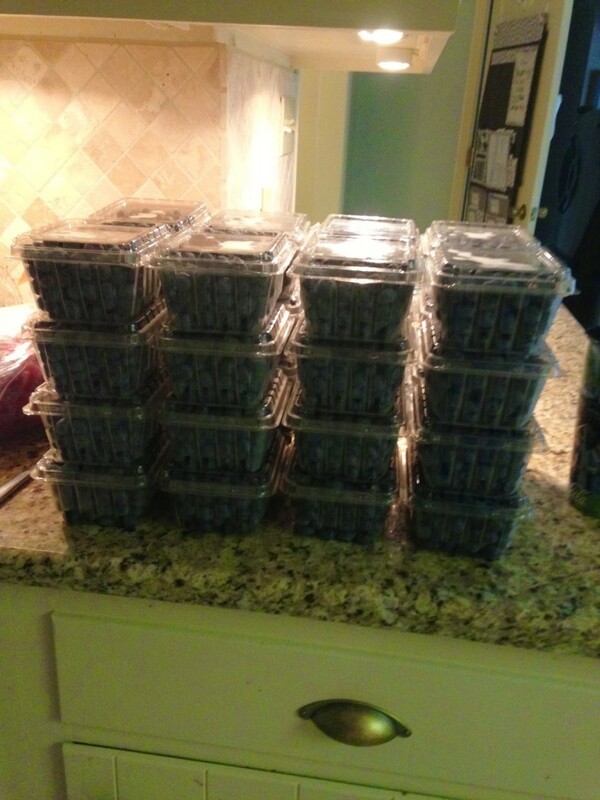 Because prices are at a yearly low and we go through A LOT of berries each year, we like to stock up. I purchased 5 gallons from a local friend who grows beautiful berries that are pesticide free. 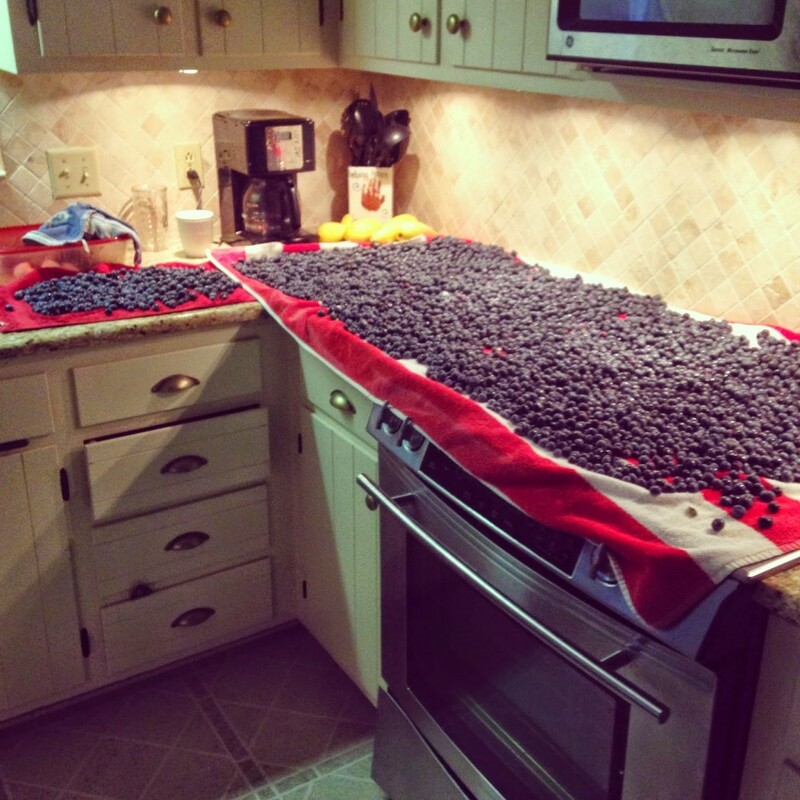 We use them in our protein shakes almost every morning, so we go through A LOT of berries. I’m hoping these 5 gallons might last us a few months. 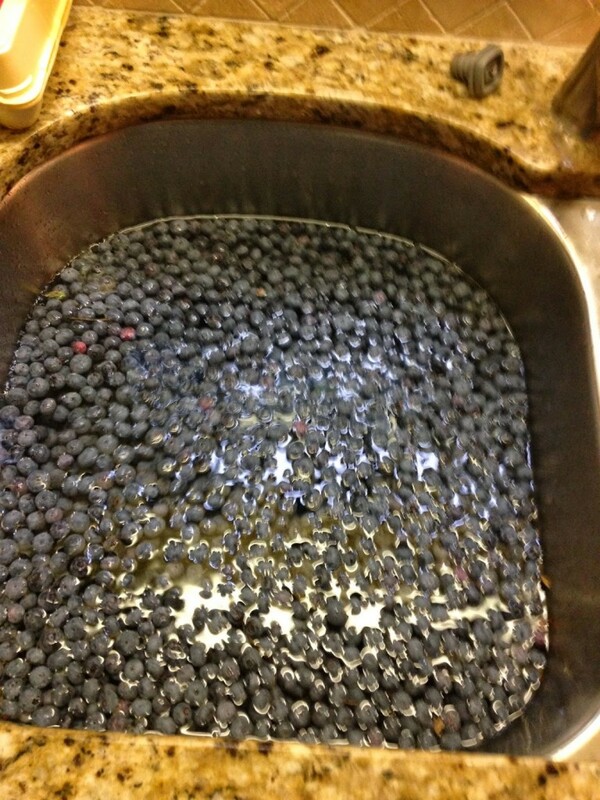 To prepare them for freezing, I cleaned my sink and then filled it up with my produce wash. I let them soak around 5 minutes and use that time to pick out any that don’t look to be in good condition. After their soak, I spread out two beach towels on my kitchen counters and spread them out to dry. It’s pretty important to get them dry, so allow enough time to really do this well. 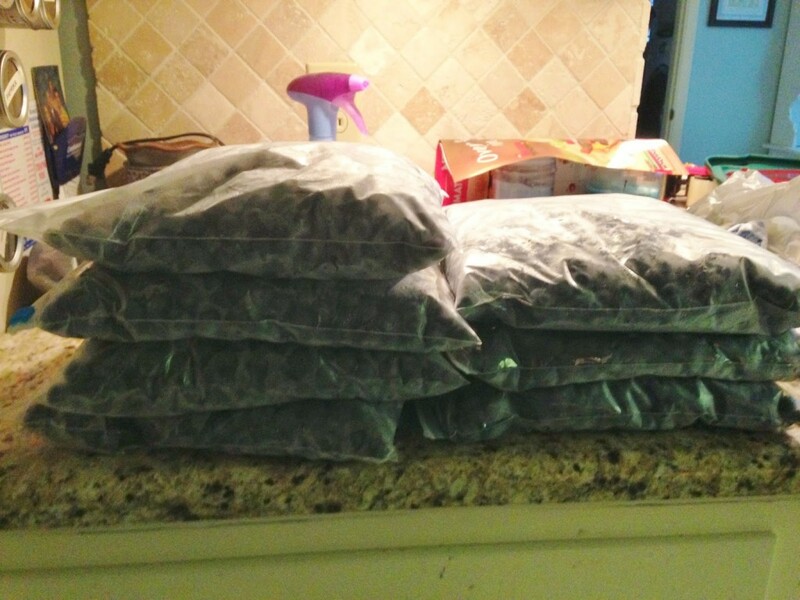 Once frozen, I put them into gallon sized bags and store them flat. It took me most of the day to get our 5 gallons prepared as I only had 5 pans to work with at a time, but it will be worth it to have these beautiful berries to eat in the coming months. 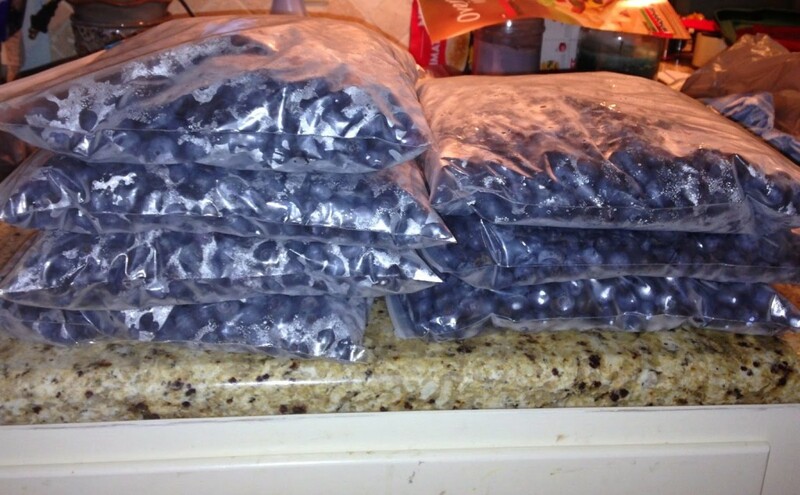 If berries are cheap in your area right now, STOCK UP. They are PERFECT to add to smoothies and a superfood for your body!